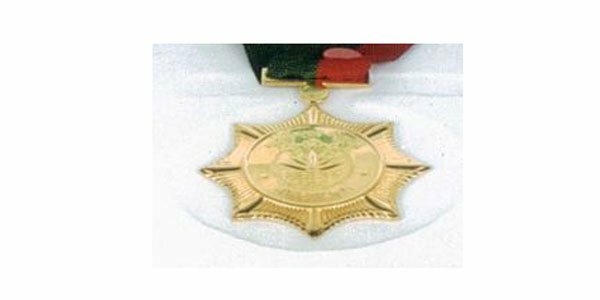 Dhaka – The most prestigious civilian awards in Bangladesh goes this year to 13 persons and one institution for their contribution to the nation, according to officials. Prime Minister Sheikh Hasina on Monday handed the awards to its recipients in recognition of their outstanding contributions to their respective fields. The ceremony was organized at the Bangabandhu International Conference Center in Dhaka. The recipients of this year’s award are – martyred intellectual Mufazzal Haider Chowdhury (posthumous), martyred ATM Zafar Alam (posthumous), Liberation War Affairs Minister AKM Mozammel Haque, Engineer Mosharraf Hossain, Dr Kazi Misbahun Nahar, Abdul Khalek (posthumous), Professor Mohammad Khaled (posthumous) and Barrister Shawkat Ali Khan (posthumous) in independence and Liberation War, Brigadier General Dr Nurun Nahar Fatema Begum in medical science, Dr Qazi Kholiquzzaman Ahmad in social service, Murtaza Bashir in culture, Hasan Azizul Haque in literature, Professor Dr Hasina Khan in research and training and Bangladesh Institute of Nuclear Agriculture (BINA) in science and technology. Each award recipient was given a medal weighing 50 grams of gold, 300,000 taka and a citation. Chief Justice, senior members of the cabinet, Prime Minister’s advisers, lawmakers, chiefs of the three services, foreign diplomats, freedom fighters, and high civil and military officials were present on the occasion.